The Internet has no shortage of Valentine's Day-themed cocktails right now (we beg you, put down the chocolate-flavored vodka), so we're going in the opposite direction. For your Valentine's-disdaining pleasure, here are three distinctly bitter, blood-red cocktails made from everyone's favorite bittersweet liqueur: Campari. Instructions: In a mixing glass with ice, combine 1 1/2 ounces of Campari, 1 1/2 ounces of gin (here, we're using The Botanist; it has a dry spiciness that stands up to the Campari) and 1/2 ounce of sweet vermouth (like Carpano Antica). Stir until well chilled. Strain into a cocktail glass. Garnish with a big twist of orange peel—twisting over the surface of the drink to spray its citrus oils all over. This cocktail is so simple you might think you've read it wrong: Campari, water, honey, that's it? But all of Campari's bittersweet herbal notes emerge when there's hot water to open them up, and a teeny bit of honey nudges it from aggressively bitter to pleasantly so. The lemon wedge is basically mandatory for a toddy. 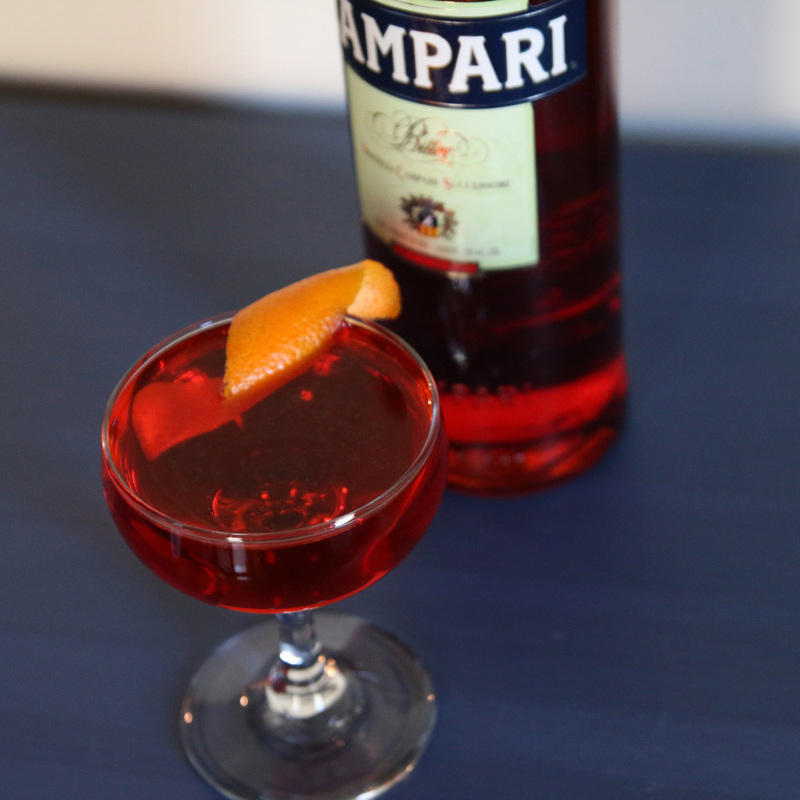 Instructions: Add 1 1/2 ounces of Campari and 1/8 ounce of honey to a heat-safe glass. Heat 4 ounces of water to a near boil and pour over Campari; stir until dissolved. Take a lemon wedge, squeeze it over the top and toss it in. Dark, bitter, a little painful—we know this cocktail sounds completely bizarre. But once you've tried Campari stiffened up with cold coffee, you'll find they're a natural pair, and spicy-vegetal jalapeño fits right in. Instructions: In a cocktail shaker without ice, muddle three thin slices of jalapeño (for a pretty spicy cocktail; one slice will give it just a little tingle). Add 1 1/2 ounces of Campari, 1 1/2 ounces of cold coffee and ice. Shake that all up and double strain—that's through your cocktail's strainer, as well as a fine mesh strainer—into a rocks glass with fresh ice. Garnish with another jalapeño slice.